1945 VE Day in Europe. After five years, eight months, and five days of massive devastation, the end of the European phase of World War II was celebrated. 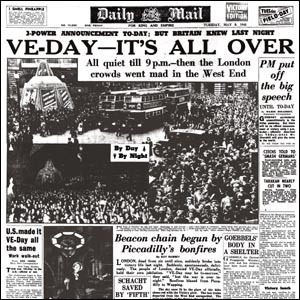 Victory in Europe was commemorated with celebrations all around the world in recognition of the unconditional surrender of all German forces signed in Reims, France, the previous day.